St. 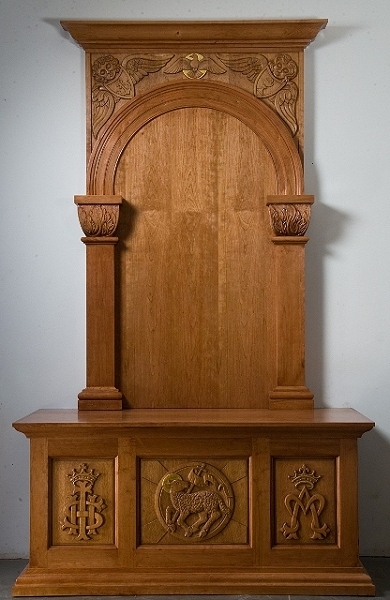 Peregrine Shrine designed and carved by Deborah Mills for a Catholic church in Staten Island, New York. Cherry, 8 1/2 feet high by 5 feet wide. Copyright © 1990 - 2014 Deborah A. Mills, all rights reserved. I teach woodcarving classes for beginners in my carving studio. Limit 6 students. For Class Information and Registration Details CLICK HERE.